Zip? I am still looking for it. You know how hot it gets in this fur coat in Summer. I almost melt. We have a faulty design on our bodies. We cats need to breathe in summer and they forgot to insert the zip. It is most annoying, but one day I will find it and then you will see me in my complete form. In the meanwhile keep searching. 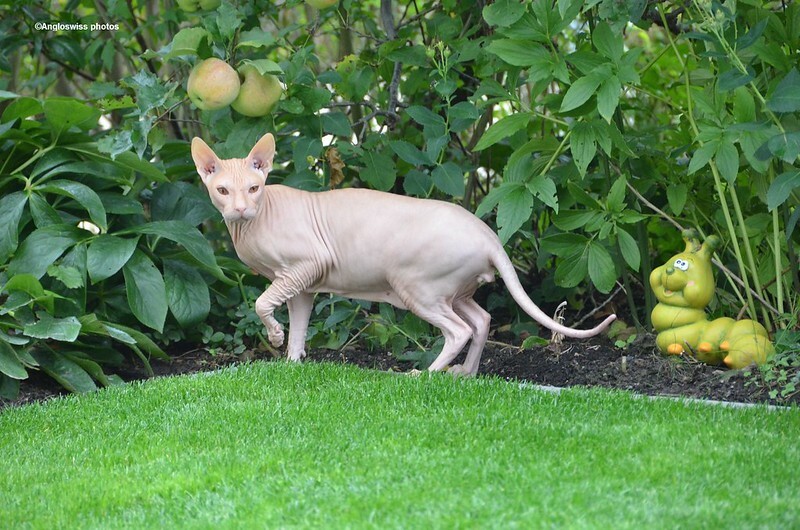 Our cousins, the sphynx cats have no problem. They never got their fur coat, although I think they would like one in the Winter.